Hello and thank you to all who visited the Curlicue Creations blog yesterday. I so enjoyed reading all your lovely comments. You made me smile. Here's a list of all the designers and their blogs for Day 2. 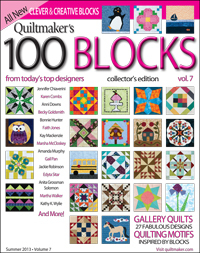 Be sure to visit each one for more chances to win a copy of Quiltmaker's 100 Blocks, Volume 7, and great quilting inspiration, too. Also be sure to visit Quiltmaker's blog, Quilty Pleasures for more giveaways, design inspiration, and fun. My giveaway is still open until the end of the blog tour. Scroll down to yesterday's post to enter. Until next time...please visit the Curlicue Creations Shop. 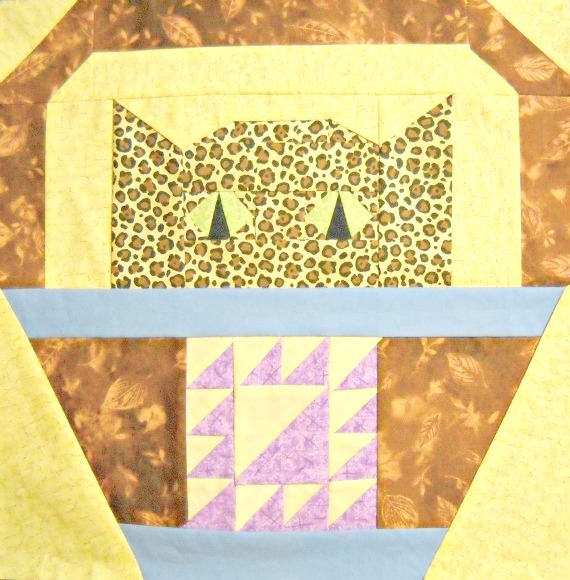 Use coupon code QUILT100 at the checkout for 10 percent off anything in the shop, good until May 7th. 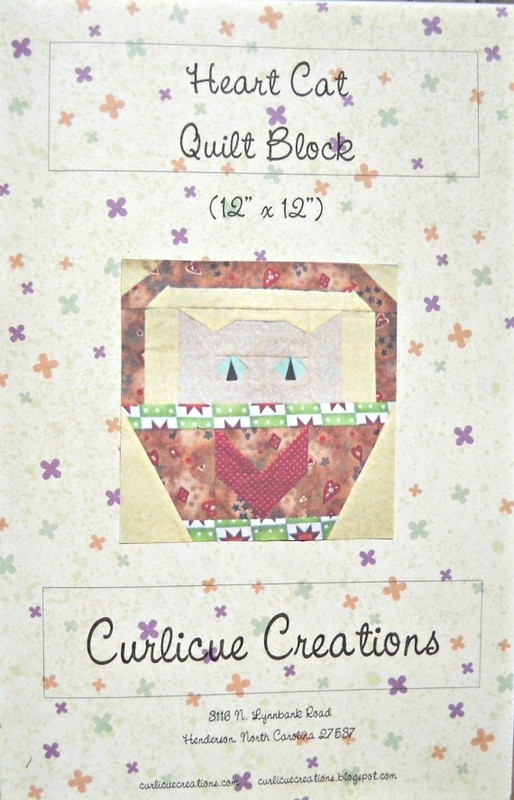 Quiltmaker's 100 Blocks, Volume 7, Blog Tour! Hello! 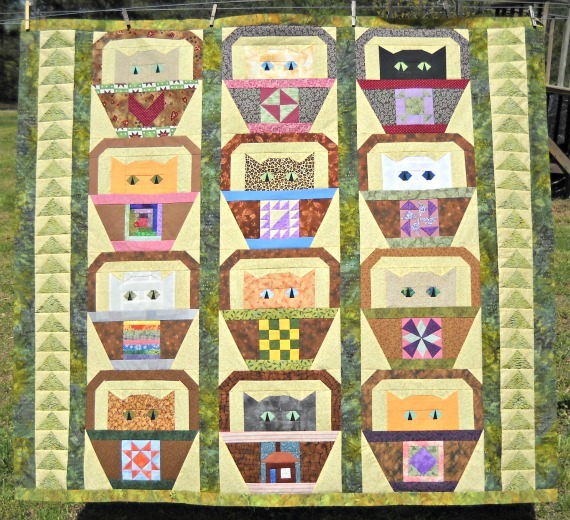 Welcome to my little corner of the Quiltmaker's 100 Blocks Blog Tour for Volume 7. I'm so excited to be kicking off the tour on the very first day. Woo-Hoo! Thank you, Quiltmaker. You're the best. Here's my block for this issue, it's called Summer's End. It's block #609 in the magazine. 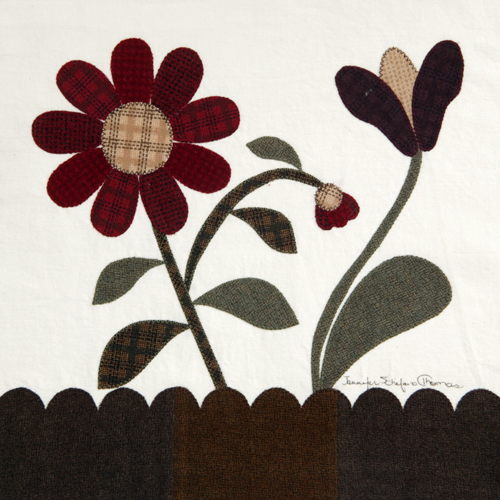 This time around I experimented with some soft flannels on a creamy cotton background. I really enjoyed working with the flannel fabrics. They handled beautifully. Because my block is a little dark, (like the end of Summer) I thought I would show how it would look in a few different colorways. This is the Summer's End, Winter version! All cool, icy blues. The stems are a light brown, and the leaves have a frosted look to them. These are some stubborn flowers to still be blooming in the chilly weather. This is the Summer's End, Spring version. All is bright and brand new, with pretty pink flowers and fresh greens. I used the snowflake background because it was an unusually cold Spring this year. And this is the Autumn version of Summer's End. I kept the daisy type flower in the pinks because I wanted to show how it looks when bright colors pop against a dark background. I love this look in applique. Also, note the busy fabric I used for the stems. It really adds some pizazz to the block. 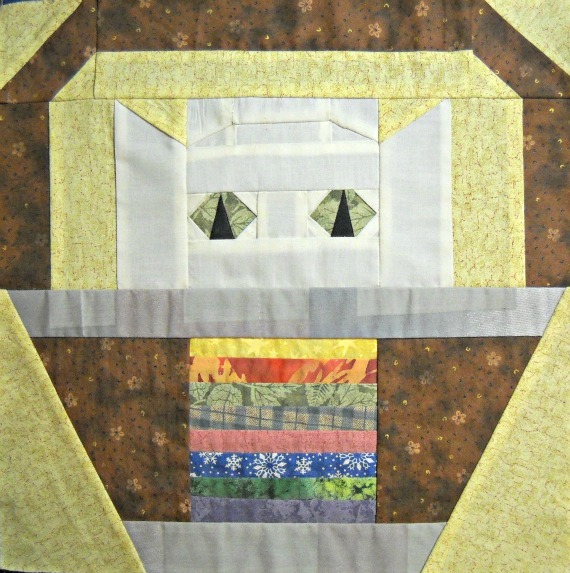 This is the Summer's End quilt I made using four of my blocks, This was a fun little quilt to sew. I love the sawtooth setting and the brightness the turquoise blocks add to the overall look. The different shades of orange have been speaking to me lately; it really gave me a sense of peace to use them in this quilt. Thanks so much for visiting my blog today. And now for the giveaway! And one of my latest in the popular Basket Cats series of patterns, "Lady of the Lake Cat". To enter, simply leave me a comment letting me know what season is your personal favorite. I'll draw a winner on May 4th. Good luck! 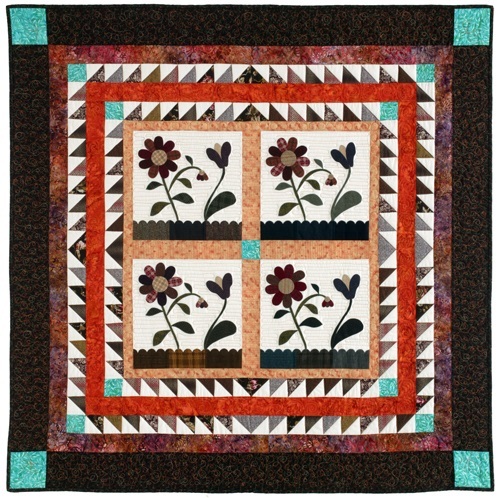 Be sure to click back to Quiltmaker Magazine's blog, Quilty Pleasures today and all week to visit the rest of the designers on the blog tour. Click here to return to Quiltmaker's Blog, Quilty Pleasures. It's Quilt Mug and Giant Button Day! 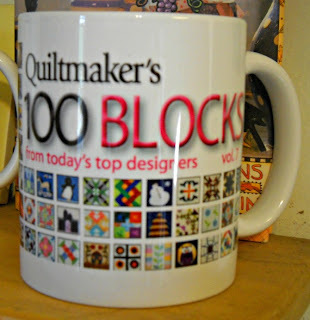 One of the best aspects of having a block in Quiltmaker's 100 Blocks issues is you get one of these fab mugs! Mine came in the mail yesterday - happy dance! It has all of the blocks from upcoming issue 7 on it in tiny, detailed, miniature. Oh joy! I added it to my 100 Blocks mug collection. I'm ready to have four friends over for coffee and angel food cake. Anyone? And here's my BIG button. They are really big! 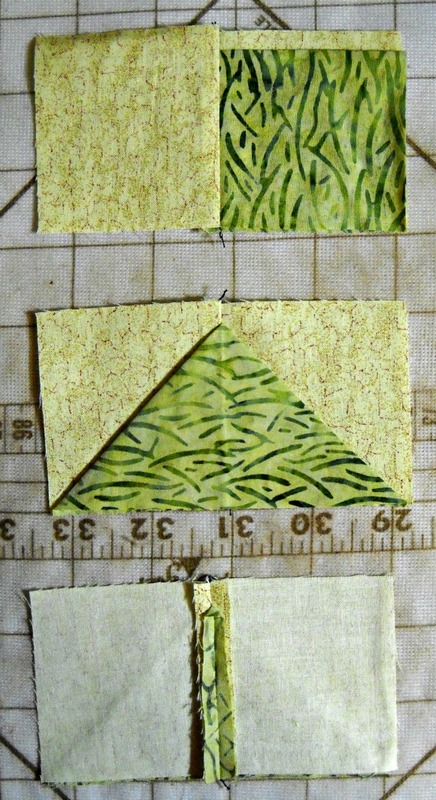 5-3/4" across on my quilty ruler. I have my big button collection hanging on a wall in my studio, next to my sewing machine. They are fun to look at. 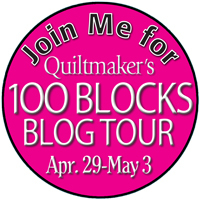 All this quilty excitement leads us up to the Quiltmaker's 100 Blocks Blog Tour, starting this Monday, April 29th. I will be on the tour that day. 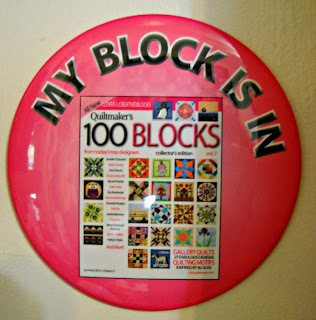 Be sure to visit my blog for a giveaway of the upcoming issue of 100 Blocks. Plus, I will be having an additional giveaway of some kind of quilting goody to go with it. I'm not sure what yet, pattern? fabric? another issue of the magazine? Maybe all three? Visit me this Monday to find out! I've got two more to go after this one. The Liberty Coins Cat Quilt Block. Which one should I do next? Until next time....please visit the Curlicue Creations Shop...and have a super day! Be sure to mark your calendar for Monday, April 29th! 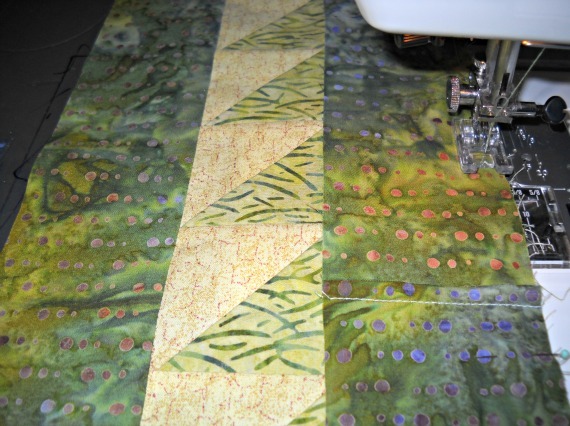 It's the start of Quiltmaker's 100 Blocks, Volume 7 Blog Tour. Visit my blog that day - I will be giving away a copy of the upcoming issue, plus some surprise goodies! I'll also have a link back to Quiltmaker's blog, Quilty Pleasures where you can find more giveaways and links to all the blog tour participants. 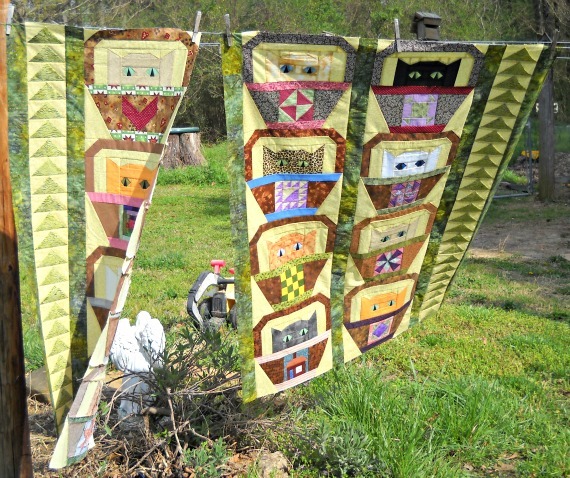 It's a week full of quilty fun, fun, fun! See you then! 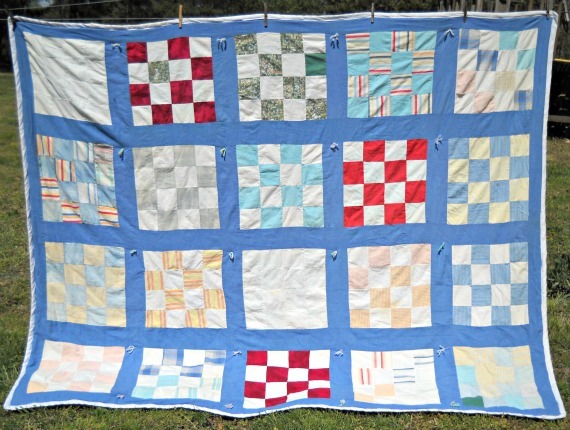 There's just nothing quite like an old quilt. When I'm out vintage shopping, and I come across a quilt, I always wonder...who made this? How old is it? And even, what was the maker thinking about while he/she sewed this quilt? 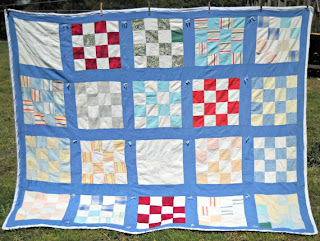 Here's a lovely, old, Four Patch quilt I rescued from the thrift shop this week for $2.00. It's completely hand sewn. 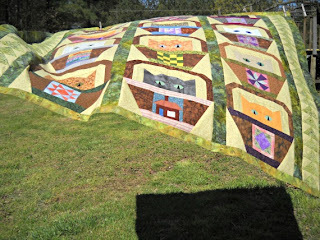 It's tied with yarn, rather than quilted. Very nice. I have no idea how old it is. The fabrics were hard to place. I'm thinking late 70's, early 80's...maybe. 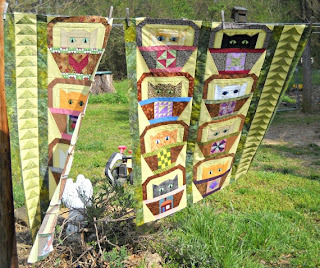 I got a little more work done on my Basket Cats quilt top this week. I used some of this Green Bamboo Batik to sew a narrow border to the top and bottom edges. Then I headed outside to take another flying clothesline photo. Maybe I should start making kites? Here's how my kitties are looking today. I'm going to add an additional brown border around all four edges to finish it up. 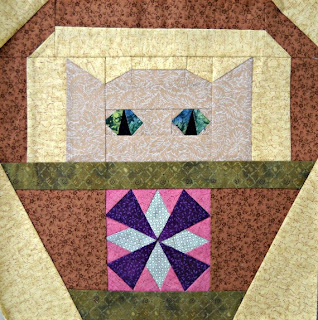 Here's a close-up of the Shoo-Fly Cat Quilt Block. This one reminds me of my own kitty, Click-Click-Kit-Kat-Sweetheart-Babygirl-Babydoll-Peekaboo-Babyface. We just call her Kit Kat for short. 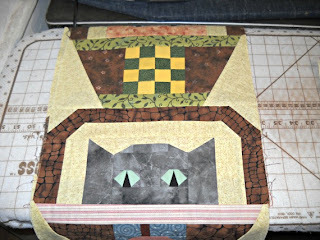 My Basket Cats Quilt Top...In Progress! 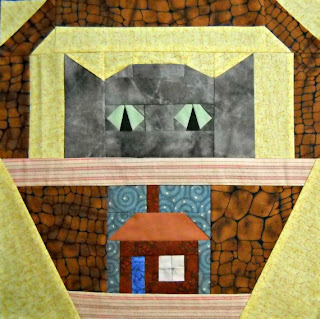 I'm still sewing on my Basket Cats Quilt. 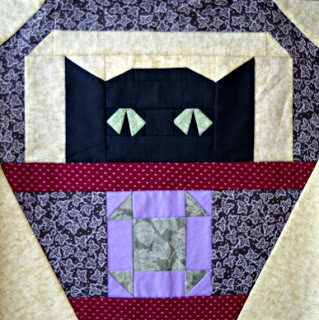 My newly designed top for this quilt is almost complete. Here's how it's sewing so far. Here's another one of the blocks, up close and personal-like. It's the Windmill Cat. I love the way the eyes came out on this cat. Mysterious and cat-like. Do you remember "Felix the Cat"? I do. 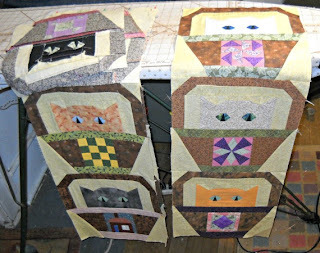 I started sewing the blocks together into vertical rows of four each. Three rows total. It was fun to mix the blocks up until they were "just right". I auditioned several fabrics for the solid strips that are going alongside the Flying Geese strips. Remember the Folded Flying Geese from a couple of posts ago? I decided on this gorgeous batik fabric I had leftover from my Fresh 'N Fancy quilt from Quilts from Quiltmaker's 100 Blocks, Spring Issue. 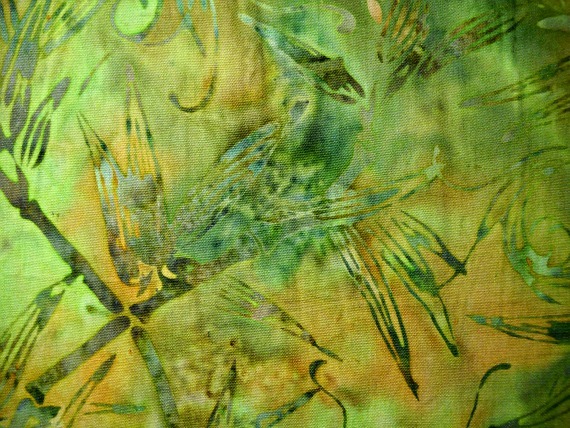 I loooove this fabric. Wish I had gobs more of it. 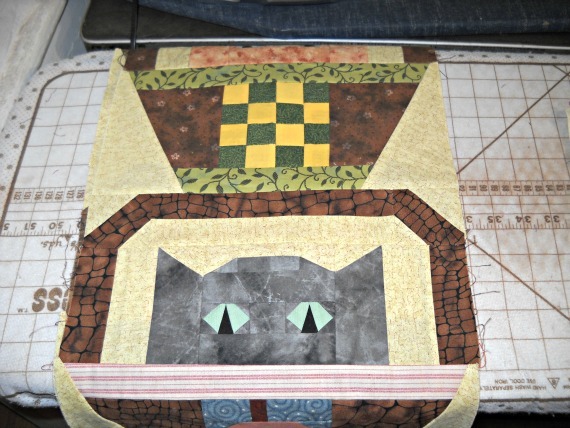 Here I am pinning it to the kitty blocks, too. And outside I went to take a quickie clothesline pic for you, dear readers. It doesn't matter how calm and beautiful the day is, the wind always kicks up when it's picture time. I guess the wind wants to be seen, too. Finally, a calm moment. These two sections need to be stitched together, and then a few more borders. Maybe I'll be finished with the top for next time. I hope so. I just got a big stack of sewing, quilting, and embroidering books from the local thrift shop today & I'm extra inspired to sew. 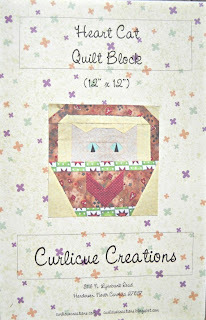 Quiltmaker's 100 Blocks Volume 7 Sneak Peek! Yes! It's the pink issue! Here's a sneaky peek at the cover for Volume 7, on sale in early May. 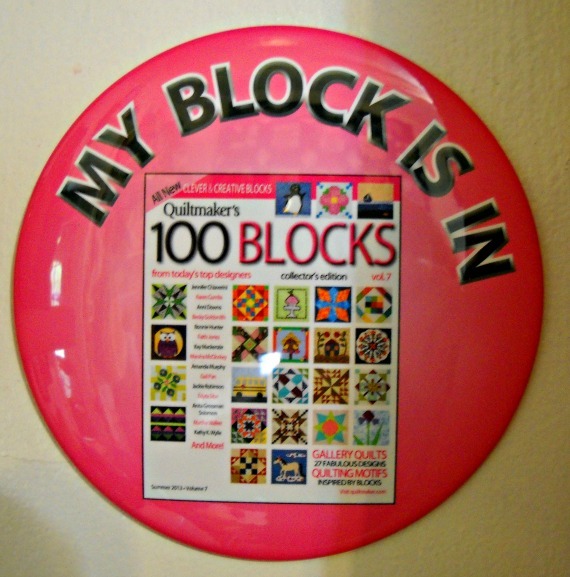 My block did not make the cover, but looky looky at all the imaginative blocks that did! My kids want me to make the school bus block already. I will be on the blog tour again for this issue - details on that next week! Folded Flying Geese are Fun! Good day, dear readers! If you've been keeping up with me on Facebook, then you know I've been working on the Basket Cats quilt for the past couple of weeks. 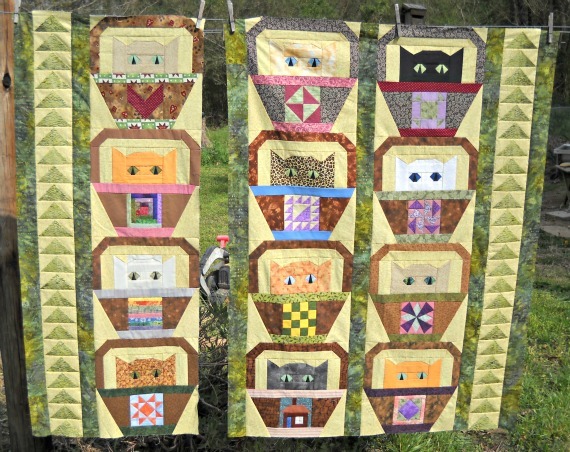 I've almost got all of the block patterns finished and in the shop - Hooray! 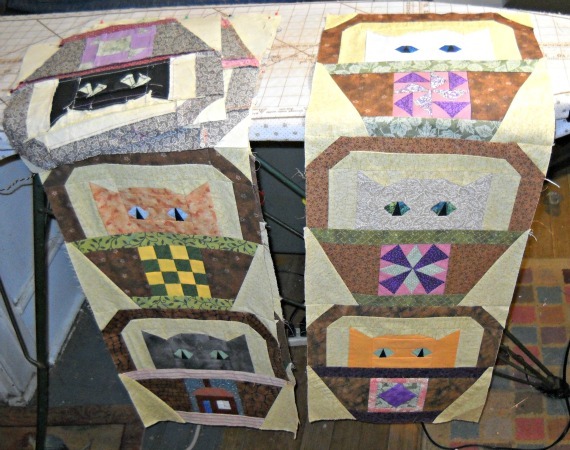 The blocks are all paper pieced, and finish at 12". 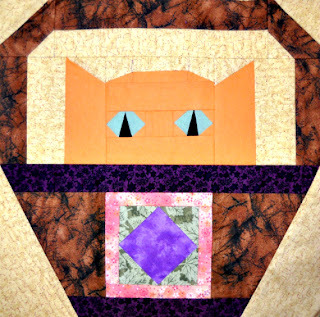 Above is the Square in a Square Cat Quilt Block. 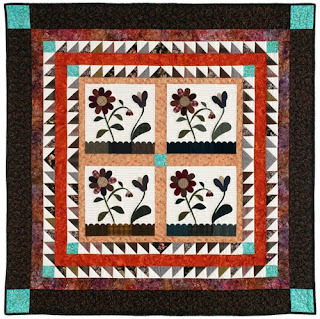 It's been quite a while since I originally designed this quilt, so I completely redrew the quilt setting. I'll show you a bit of it today. 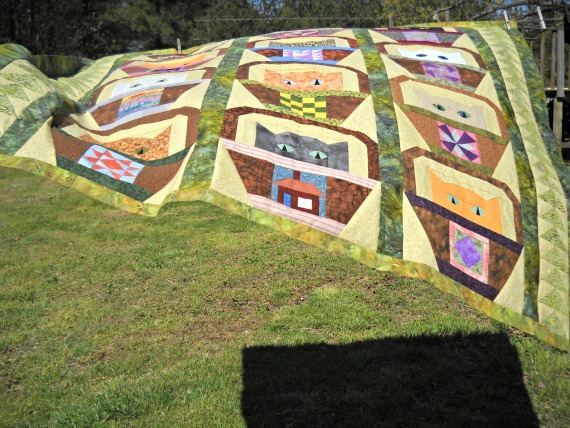 It's going to have a Flying Geese border down each side of the quilt. I've made Flying Geese using countless methods in the past. 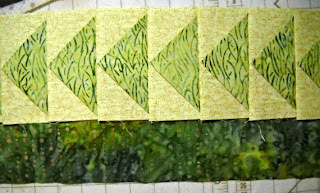 They are one of my favorite blocks to include in a quilt because I love the movement they add to a design. 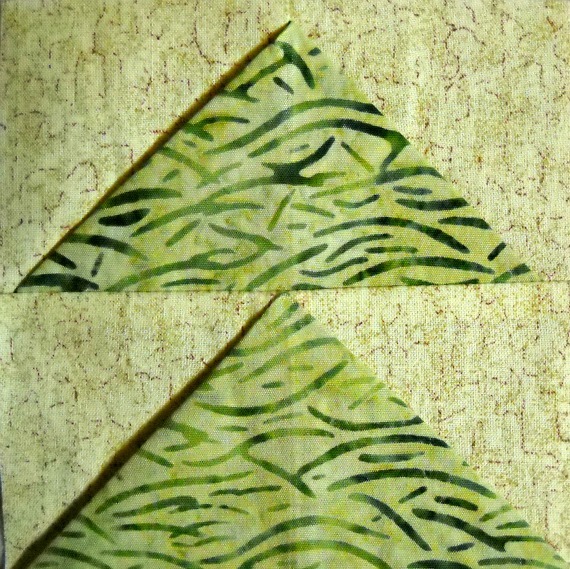 I recently learned how to make the folded type, at our quilting group a month or so ago. This is my favorite technique to date, so I'm going to try to explain how it's done. 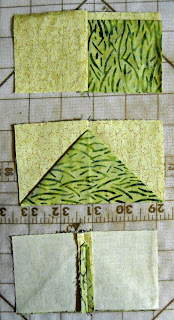 For each unit, you'll need a rectangle the size you want the finished block to be plus 1/2" for seam allowance. 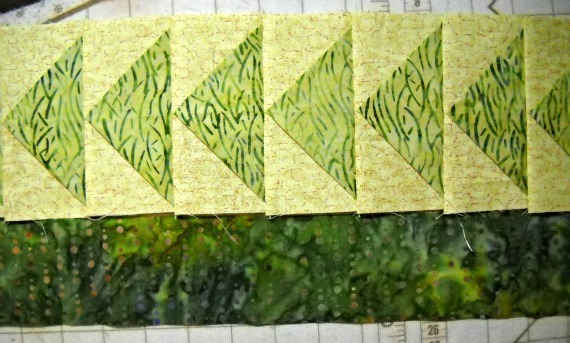 I wanted my geese to finish at 2" x 4", so I cut my rectangles 2-1/2" x 4-1/2" (the green fabric). 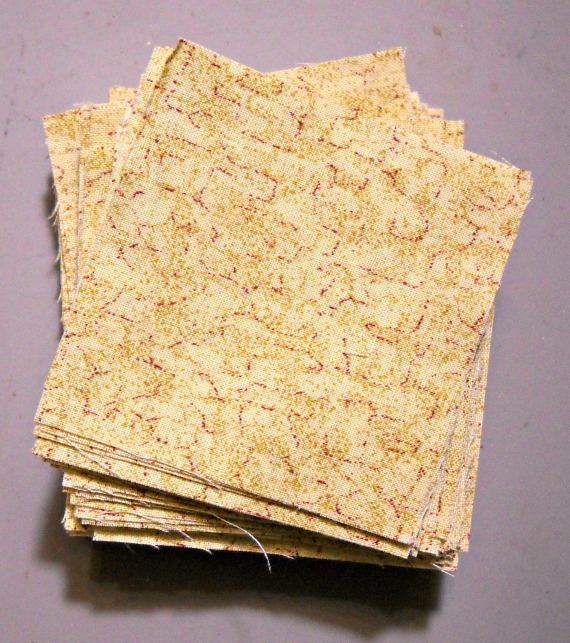 This will be the "goose" fabric. 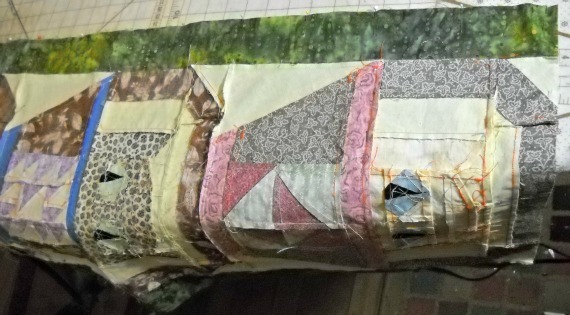 Cut two squares the same size as the short side of the rectangle for your "sky" fabric. 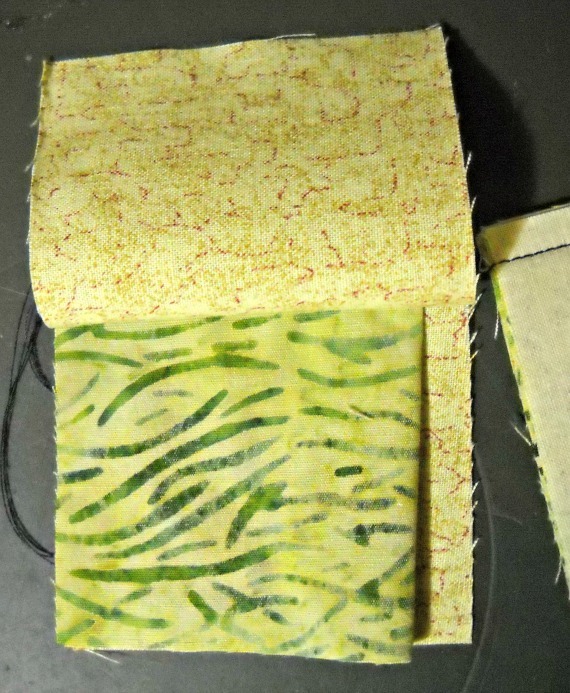 Mine were 2-1/2" x 2-1/2" (the yellow fabric). 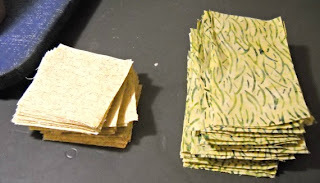 Next, fold the rectangle in half with the wrong sides together. 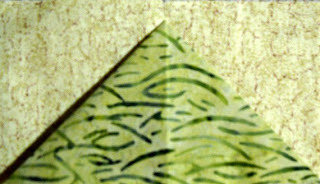 Sandwich it in between the two squares with their right sides together, and the raw edges aligned. The fold should be approx. 1/4" from the top edge. Sew one (yes! Only one seam!) 1/4" seam down the side of the unit. Open it like a book (see top unit). 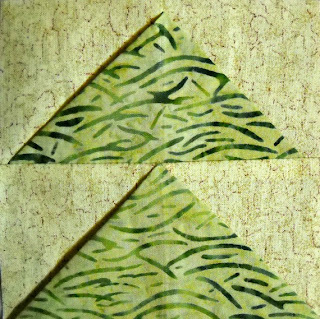 Then simply fold the rectangle into a triangle (see middle unit), and press. Voila! I also pressed the back seam open for less bulk (see bottom unit). One folded flying goose unit. Two folded flying geese units. See how nicely the points come out. A whole flock of flying geese! They are ready to fly into my quilt. I hope the kitties can resist chasing them! Here's the most recent addition to the Basket Cat series, block 9, the Heart Cat Quilt Block Pattern. So cheery, and loving, too.